Deodorant tends to foster a fair amount of brand loyalty. We don’t often peruse the shelves of CVS searching for new antiperspirant sticks to try. We go back to the same one again and again. And we go back despite knowing everything we know about antiperspirant. Traditional deodorants and antiperspirants are loaded with parabens and aluminum. But they work. Can the cleaner alternatives deliver the same results? 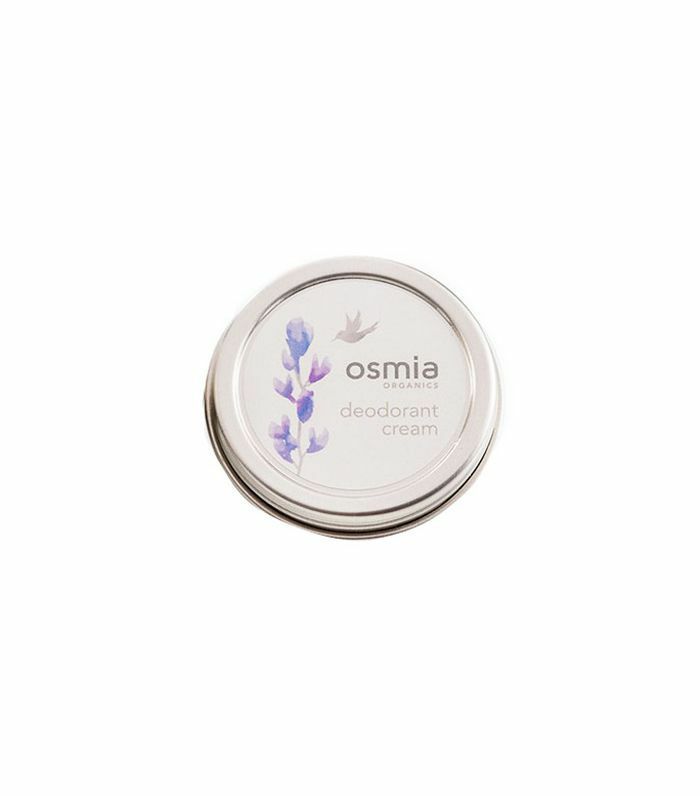 We tested six natural deodorants to find out. Scroll through for our honest reviews! The first thing I have to say about this deodorant is that I love the fact it is one of the few natural versions that comes in a stick. So many natural deodorants require you to scoop out the mixture and rub it into your (potentially already sweaty) armpits, which is no one’s idea of a good time. I tried this deodorant in the Pure Vanilla scent, which was pleasant and light—not necessarily the freshest-smelling scent, but nice and inoffensive nonetheless. The formula—which is made with fancy ingredients like goji berry, Japanese honeysuckle, and Lichen lemon oils—does tend to leave a very noticeable white residue behind, so I usually apply a few light layers instead of swiping with abandon like I would normally. 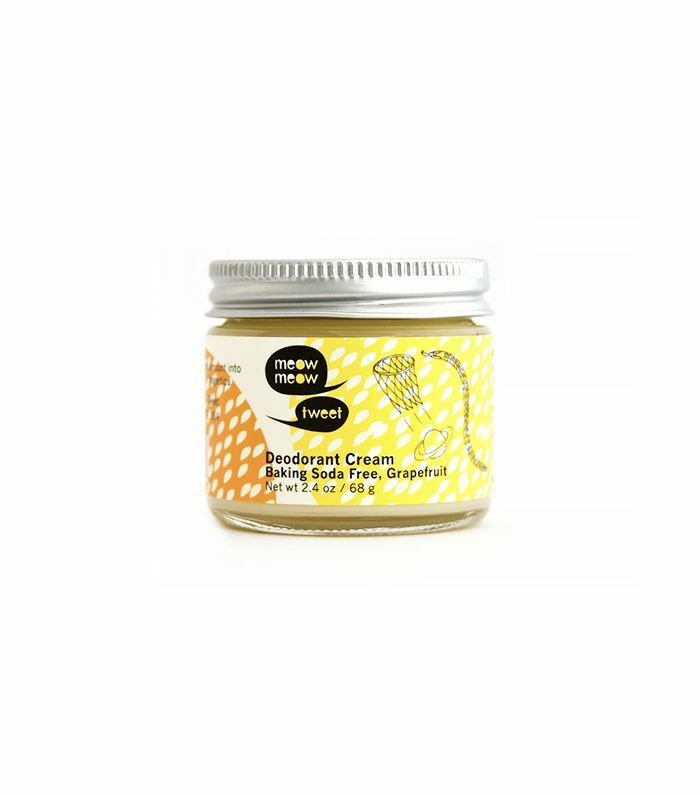 My biggest misgiving with natural deodorant creams is the cream part. I don’t enjoy rubbing cream into my armpits. If we put that aside, I actually liked this one quite a bit. The scent—a blend of lime, vetiver, and lemongrass essential oils—is light and fresh, and I didn’t get a whiff of it every time I moved. It is a deodorant—not a deodorant and antiperspirant—so there was a little sweating and odor at the end of the day, more than with my toxic chemical-laden antiperspirant. First of all, the size is genius. All of the natural deodorants come in large tubs. Once you get to the bottom, who wants to dig their fingers into that? This tin (a fun-sized tin, if you will) is not only cute but also portable, and eliminates the digging-your-fingers-into-a-tub issue. I wasn’t crazy about the scent of this one (I’m not big on lavender); on hot days I noticed it—a lot. I think I need something a little stronger than this deodorant. The two deodorants I tried were Meow Meow Tweet’s Deodorant Cream and Fig and Yarrows Underarm Lotion Tonic. My method of testing (which I thought was pretty ingenious) was to wear one on the left arm and one on the right arm each day so that they were tested under the exact same conditions—a long walk in the sun, a sweaty hike, etc. That way I could really compare their performance under the same microscope. That’s what they call a controlled variable! (Boo-yah, science class). Anyway, when I first applied the Meow Meow Tweet cream, I liked its strong grapefruit scent—zesty and citrusy, perfect (+1). I was concerned about how oily it felt in my fingers, but was surprised to find that it very quickly evaporated without leaving a trace of residue, so I felt comfortable applying it to the armpit near the fabric of a silk blouse (+1). Then I applied the Fig + Yarrow deodorant, which smelled more medical and eucalyptus-y, almost like it was Vick’s Vapor Rub (-1), but I liked that it was a lotion pump that you rub in your fingers and then apply, and that the lotion felt lightweight and refreshing (+1), but then somehow the pump sprayed directly onto my blouse and left a toothpaste-like stain (-1). Probably my own clumsy fault, but nonetheless, I was perturbed. Five minutes post-application, I liked the Meow Meow Tweet scent better. 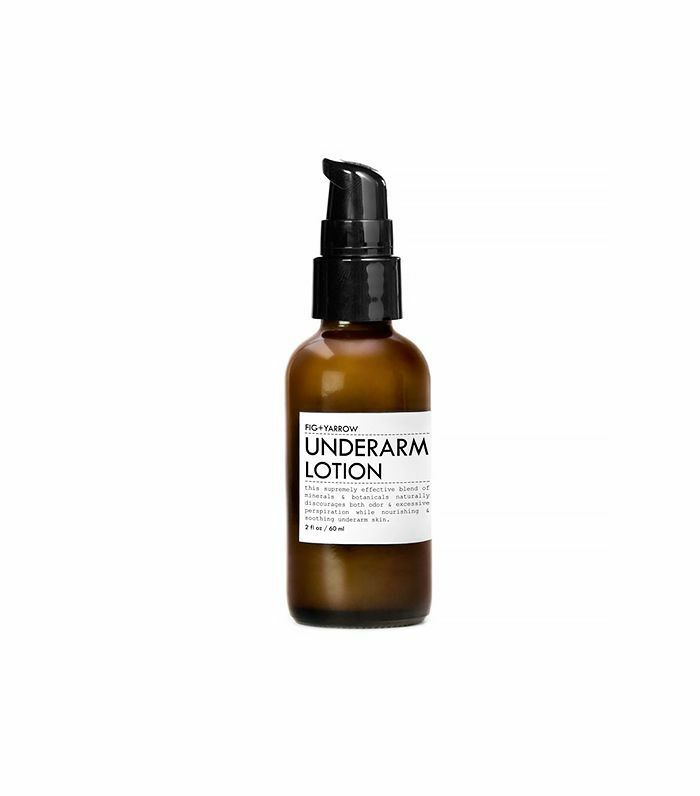 Then, in an Uber on the way to work, I found myself sniffing my armpit and liking the Fig + Yarrow scent infinitely better, after it had settled in. I flip-flopped no fewer than 10 times throughout the course of that first day, deciding I liked the grapefruit better than the eucalyptus, then back again. Never mind that I looked insane continually sniffing my armpits. Eventually, I decided that I liked the Fig + Yarrow best! The Meow Meow Tweet one started to smell like that hippie scent that has too many associations. I wore both throughout the week, including during a sweaty workout, and I was genuinely most surprised to find that the biggest consideration I had for each product was their own smell—I never had any issues with them not masking my body odor. In fact, I didn’t smell my body odor through the product once! They did a better job than my drugstore, non-natural deodorant that I always use. 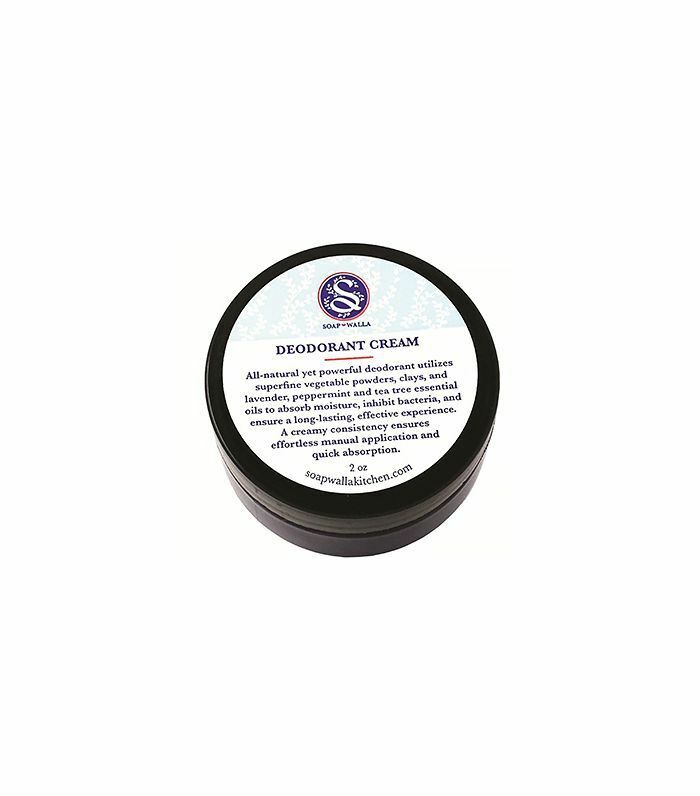 This all-natural deodorant cream is made with vegetable powders and clays, as well as a refreshing-smelling blend of lavender, peppermint, and tea-tree essential oils. The result? A deodorant that absorbs moisture and leaves you super–fresh-smelling all day. I’ve worn this in sweltering temps (ahem, NY during the summertime) and have remained smelling as fresh as a daisy. The only thing I’m not crazy about is applying it with my hands—in a dream world, this formula would come in stick form. 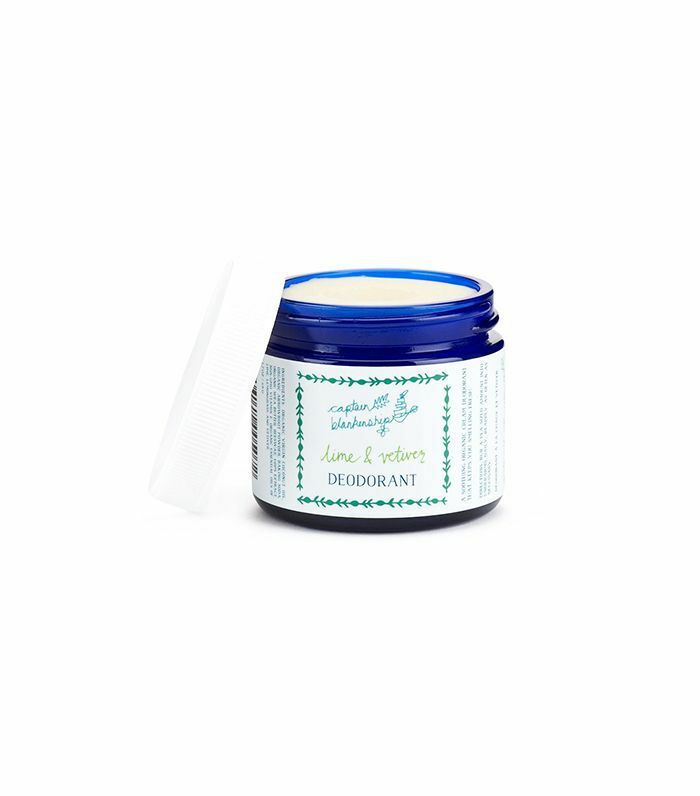 Have you tried natural deodorant? Share your favorites in the comments! Serious Question: What's the Deal With Vaginal Hygiene?